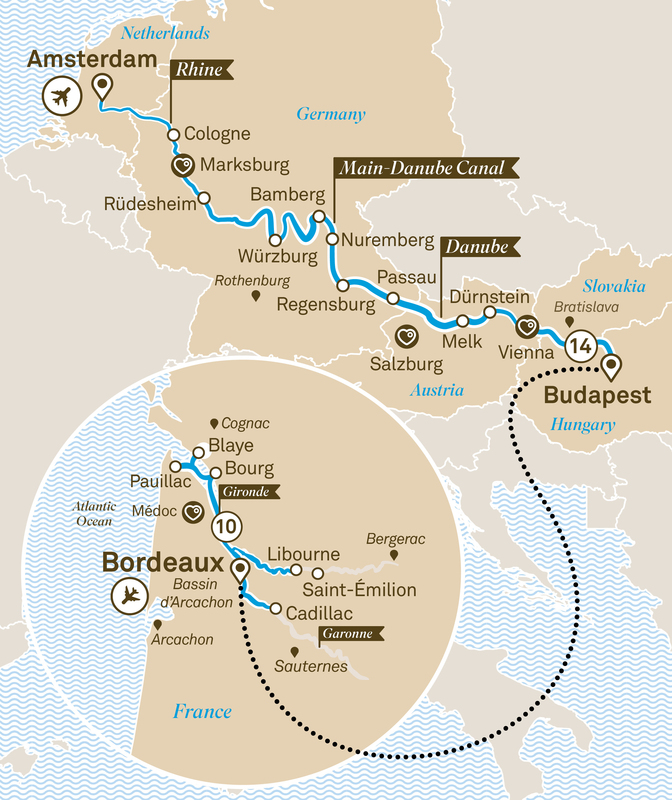 From Budapest to Bordeaux, cruise Europe's famous Rhine & Danube rivers before flying to Bordeaux for a cruise on board the luxurious Scenic Diamond. Disembark after breakfast and transfer to Amsterdam Airport for your onwards flight to Bordeaux. Your friendly crew will welcome you on board the luxurious Scenic Diamond in Bordeaux for your cruise through France’s celebrated southwestern pocket. Starting in Paris, the 'city of light' travel to Bordeaux & sample local wines of Saint-Émilion & Château Agassac before travelling to Barcelona to Madrid.